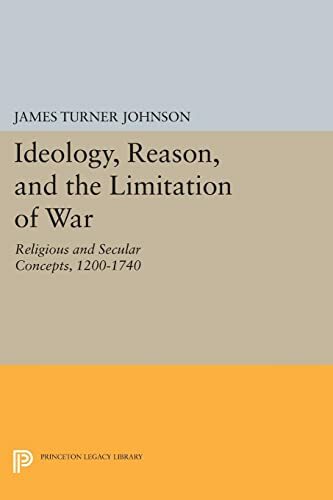 The fundamental aims of this book are two: to explore the interaction between religion and secular society in the formation as well as the dissolution of just war doctrine; and to investigate just war doctrine as an ideological pattern of thought, expressive of a greater ideology. The author reconstructs the development of classic just war doctrine, showing it to be a product of secular and religious forces. From it he traces the growth of the doctrines of holy war and of modern just war. He demonstrates that the blending of two distinct traditions in the late Middle Ages has its counterpart in the century following the Reformation. The secularized just war doctrine exemplified in the writings of Grotius, Locke, and Vattel are related to the problems of war in our time. Originally published in 1975. The Princeton Legacy Library uses the latest print-on-demand technology to again make available previously out-of-print books from the distinguished backlist of Princeton University Press. These paperback editions preserve the original texts of these important books while presenting them in durable paperback editions. The goal of the Princeton Legacy Library is to vastly increase access to the rich scholarly heritage found in the thousands of books published by Princeton University Press since its founding in 1905.